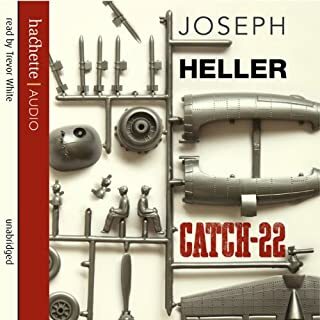 My favourite audio book to date. The most influential work of the entire Spanish literary canon and a founding work of modern Western literature, Don Quixote is also one of the greatest works ever written. Hugely entertaining but also moving at times, this episodic novel is built on the fantasy life of one Alonso Quixano, who lives with his niece and housekeeper in La Mancha. Quixano, obsessed by tales of knight errantry, renames himself "Don Quixote" and, with his faithful servant Sancho Panza, goes on a series of quests. Many of these adventures, including tilting at windmills, are established in European literary consciousness. 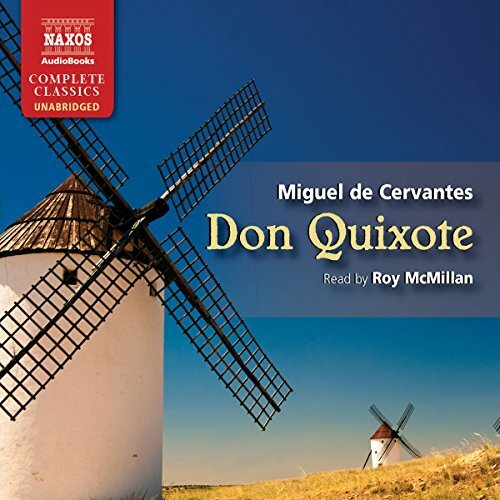 Originally published in two volumes a decade apart (in 1605 and 1615), Don Quixote has been brought to life in its entirety in this audiobook. A brilliant story both entertaining and touching. The language the author usues is exceptional. 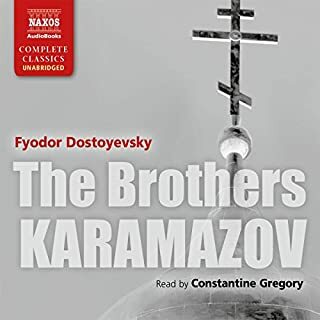 The narrator does a brilliant kob throughout, a good version for an audiobook. I am a fan of classic fiction, and I enjoy plays written around the same time as Don Quixote. I also enjoy long books, but this is interminably slow and repetitive. 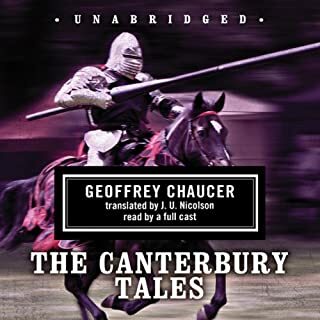 The Narrator is great, and I would listen to other books by Roy McMillan, and he does his best to keep it lively, but Quixote's endless and repetitive rants are painful. Panza's droll humour is genuinely funny at times, and the second half of the book takes a nice twist (16 hours in) with everyone in the 2nd half of the book having read the first half, so it gets very meta, which is fun. Overall though, it is tedious, and unfulfilling, I can see why the book would have been edgy and interesting 400 years ago, but it is hard to enjoy now. I would only recommend this if you really need a companionable voice in your ears for 30+ hours. I feel the overall rating is hard to give, but I would only get this book if it was on a very big sale. This is one of the funniest books I have ever read and transports you to Spain 400 years ago. So simply written and accessible it is hard to believe this was written over 400 years ago. It tells the story of the crazy adventures of Don Quixote and his squire Sancho Panza as well as the many people they meet on their travels, which really amounts to a sequence of short stories. The greatest value, apart from the humour, is the insight you get into the beliefs and ways of thinking of people living in Spain at the time. Top Read! Brilliant. Wonderfully read by Roy. Its hard to believe that this was written over 400 years ago! A well crafted tale full of timeless messages. I didn't know much of anything about this book. If I had listened to it by itself, my take on it would probably be that it is funny, but way too long, and not much more. I enjoyed it much more than that because I decided to listen to a Yale course online (which is free) as I listened to the book. Each lesson gives the professor's take on the chapters assigned. I highly recommend this for those who aren't already very familiar with the book and its significance. You can google the audio course if you're interested, search Cervantes' Don Quixote with Professor Roberto González Echevarría. 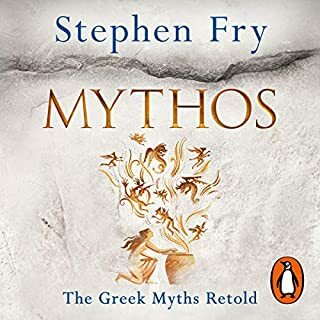 I would never have thought I'd enjoy a book about a madman wandering around Spain in Shakespearean times so much, but I found myself looking forward to every listening session then smiling and chuckling throughout. 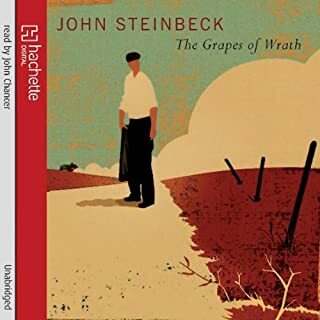 The narrator brought the characters to life, the best I've heard. Would you listen to Don Quixote again? Why? I'll certainly listen again. 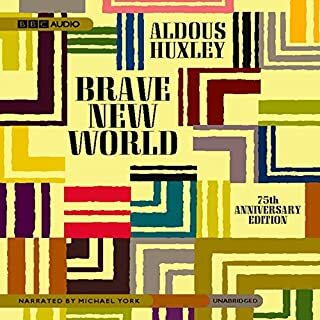 This is the best audiobook I have ever listened to. The performance by Roy McMillan is unbeatable. I cannot recommend this enough. It's Quixote. The best novel in the world. What does Roy McMillan bring to the story that you wouldn?? ?t experience if you just read the book? McMillan's performances of Don Quixote and Sancho Panza are pitch-perfect. He understands the characters from within. The host of minor characters is also excellently done. McMillan is a versatile and wonderfully entertaining reader. Quixote encountering his beloved Dulcinea in the shape of a village wench stinking of garlic. Long ago in my undergrad days I blew by Don Quixote in a survey course. To a mind not very attuned to thick books and partial to any explanation that would make the test easier, believing that Cervantes had penned nothing more than a multi-volume diatribe against those iniquitous chivalric romances was a cinch. Such an oversimplification served my purposes: first, to identify Cervantes’ proper place on the flowchart of “Those Who Have Contributed to the Creation of the Modern Novel”. Second: to get a passing grade, graduate and get a job and a place of my own. Over the years, however, I’ve often wondered how any writer, no matter how gifted, could stretch such an indictment over some 900-some-odd pages and still manage to achieve a work that would be reverenced and relished for 400 years. 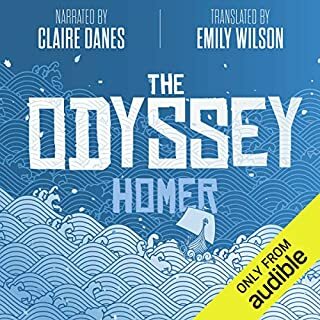 When Audible put Don Quixote on sale in February of 2011, I decided to see—or rather, hear—what Cervantes had really written. Before I did, however, I decided to immerse myself in the romances that were supposedly Cervantes’ target. I read all of Chretien de Troyes. I read Beroul. And Gotfried von Straussburg’s, Wolfram von Eschenbach and Hartmann von Aue. I discovered works that were a joy to read. Works that captivated the imagination, that even played with and parodied the very genre they were establishing. So far from finding dusty books worthy of contempt, I found vivid invention and vigorous writing. And in the first dozen minutes of Don Quixote I discovered I had been reading the wrong romances. Cervantes’ target seems to be the later romances written just before his time, chiefly the Amadis of Gaul and Orlando Furioso. I’ve never read Amadis, but years ago I did get Orlando under my belt and enjoyed the hell out of it. I began to wonder if the whole indictment of chivalric romances was just a device to tell a great story. No matter what his motivation, we should all be glad he did set pen to paper. I rank Don Quixote with Tom Jones and Pickwick Papers as the three of books I’d choose if cast upon a desert island (not that that’s likely to ever happen). It never ceases to delight. And now that’s it’s over I miss it terribly. Seriously. Most of the credit goes to Cervantes, but the reader Roy McMillan deserves his share as well. His easy tone, light manner and perfect diction make him the ideal travelling companion for this ride. Oddly enough, the book gives the same kind of pleasure as those romances it lampoons. In this guided tour of life in early 17th Century Spain, you never know what’s going to happen around the next corner. Is the stranger at the inn a villain or a saint? Is the shepherd singing on the hillside a man or a woman? Is the fantastic story they tell true or false? Is the popularity of the first volume of the book, which we find recorded in the second, a tweak at the reading public who consume such improbable works as Amadis of Gaul so avidly? And of course there’s the ultimate, overarching question that seems to hold the book together: is Don Quixote mad or sane? Though the book ends with a vigorous diatribe against chivalric romances, the hero (or anti-hero, if you go that way) could not be more sympathetic and likeable. When not smashing puppet shows or liberating condemned cutthroats he is full of good sense and rounded phrases. His “achievements” (battling with windmills and wineskins, for example) make him famous throughout Spain and indeed Europe—not because they are real achievements, of course, but because the book that records those deeds gives such delight. Maybe that’s why Don Quixote deserves its central place in the “Who-Created-the-Modern-Novel” flow chart: because Cervantes shows us that real life, our ordinary existence, can be as enchanted and improbable as any romance. If you could sum up Don Quixote in three words, what would they be? What was one of the most memorable moments of Don Quixote? Don Quixote's encounter with the sheep is one of many that I have enjoyed so far, but much of the book is still ahead of me. Hard to say as there are so many, but I loved the line where the Don was described as retiring to bed after one of their adventures to dream of his fair Dulcinea while Sancho Panza retired to his 'like a man who had been soundly beaten'. The gentle satire makes me smile and occasionally laugh out loud. At the same time I am torn between feeling that something must be done to curtail the activities of this would be knight who is roaming around inflicting real damage on imagined opponents and a dread that he will be rounded up and diminished by the collapse of his illusions. 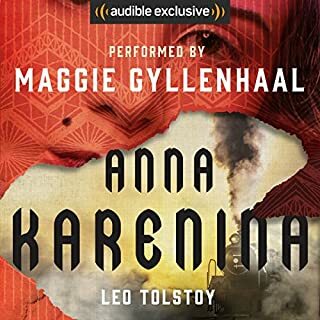 This is a great book, not just by reputation but in reality and I am grateful to Audible books for making it accessible to me. Cervantes has created a memorable character in the Don. He is both demented and truly noble, possessing a dignity that mysteriously is not touched by the absurdity of his actions and beliefs. His unfailing optimism and self belief in the face of constant setbacks is quite wonderful. I feel Cervantes has an enormous affection for him and for all the other characters of his world. It would be hard to imagine the book being read aloud better than it is by Roy McMillan. The subtle differences of class, attitude etc between characters when they speak are clearly expressed and the reader's tone conveys the humour in a tongue in cheek style that is never laboured. I LOVED this book! 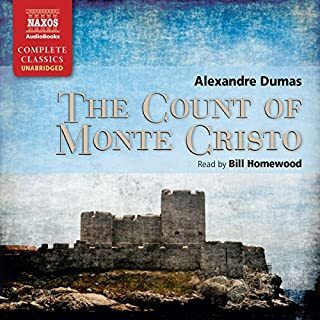 I enjoy the classics, but had not read Don Quixote before listening to this Audible version. 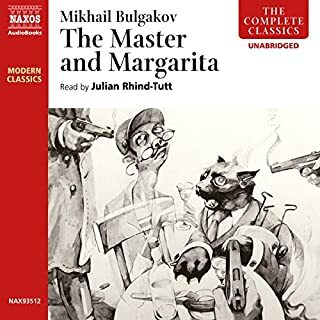 It is an absolutely wonderful book, is laugh out loud funny, and the narrator did an extraordinary job making all the characters come to life. Be prepared to use the bookmark feature often, you'll definitely want to go back to the funniest parts! 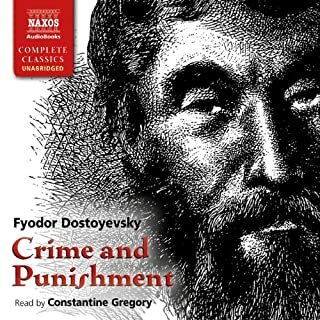 Thanks for offering Don Quixote - never would have made it through without Audible. A great book. Not a modern translation, but a great performance. Absolutely. Roy McMillan does an amazing job of bringing Don Quixote and Sancho Panza to life with a very entertaining narrative. This is a classic that should be in everyone's Audible library. Take your pick. Every adventure of Don Quixote will make you smile. Sancho Panza is a great compliment, with his witty banter and misadventures, to the story. The interaction between the two is enjoyable from start to finish. Don Quixote and Sancho Panza are the perfect expressions of their characters. Roy keeps the readers engaged and entertained throughout the story. Classic story, wonderfully read, perhaps too long. This is one of literature's classic works, ushering in a new era of literature. Roy McMillan reads it excellently, rendering many of the regional Spanish dialects into an appropriate analogue from the British Isles: the goat herders have a Welsh accent, for example. 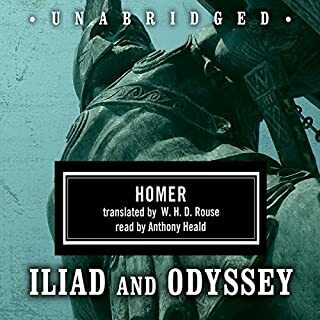 I took advice from one of the other Audible reviews, and listened in conjunction with Yale University's literature course by Professor González Echevarría, who places the book into the important context of the contemporary literary styles it references and parodies. The two 'volumes' were published ten years apart, and are therefore quite distinct in style. The first volume in particular has rather too many side-stories irrelevant to the main plot. For this reason, an abridged version might be preferable. ... the novel hits the same note again and again and again. And again. And again. Basically, the book's a series of episodes -- each one a variation on Don Quixote, a man who believes he's a knight-errant, mistaking what he sees, and engaging in unnecessary violence and/or tomfoolery. As mentioned in the title, the writing's beautiful and poetic. There are moments when I literally laughed out loud. This is a clever, innovative work of art, but, in my mind, it's 900 pages too long. I want to love everything I listen to. Especially works considered masterpieces. I'm happy others enjoyed this immeasurably. And I envy them. Although I have a dread of dusty old fiction, curiousness overcame caution and I downloaded this book. I am very glad that I did. Not only is the story itself bewitching, the narration is outstanding. 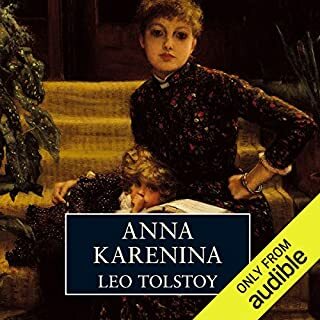 This is the only audio book which I have listened to a second time for the pure pleasure of it. A true comic masterpiece, peppered with wit, wisdom, foolishness and absurdity in perfect balance. Roy McMillan's pace and intonation are perfect for the tale too. Probably/Possible the Greatest Book ever?! What made the experience of listening to Don Quixote the most enjoyable? The quality pf the story is incomparable. The reading by Roy McMillan is - what can I say? Outstanding does not cover it. I am not a wordsmith or I would find the right word - as many others have said - Roy brings this book to life. I could have read it myself and had a much inferior experience. I think that DQ offers an insight into humanity which is as great as a select few works of fiction. 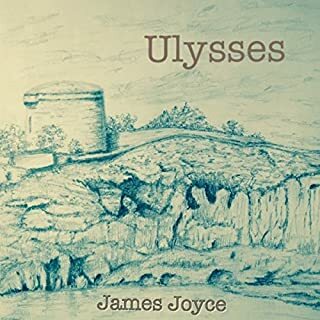 It is full of Spanish sensibility but it is also just as mind provoking as a modernist icon like Ulysses. DQ, the man, is counterparted by Sancho's realism. But then DQ is full of a sense himself. He is viewed as a fool but also as a man of sense by his contemporaries. The book develops a perspective of 'celebrity; because DQ's adventures as a knight errant which start as hopeless and irrational are written about and DQ and Sancho acquire 'fictional' counterparts .Then socially prominent individuals begin to engage with the real DQ and Sancho as 'real people' and also with DQ and Sancho the 'irrational' and 'legendary' characters! It is bewildering and exhilarating and of course it provokes reflection on what is 'irrational' and what is 'realistic?' I am old enough to remember when people who were worried about the earth and conservation were 'hippies,' and when vegetarianism was seen as a 'fad.' These are now mainstream schools of thought and DQ, the work holds up a mirror to conventionalism and shows it wanting. What is mad about being idealistic? Are realists admirable?Or just lazy people who settle for less because they lack energy and creativity? There is also a very modern self consciousness about creating a text (because of the layers of narration) and how a text and I suppose - a life - escapes the 'control' of the 'author/human?!' What a wonderful book. What does Roy McMillan bring to the story that you wouldn’t experience if you had only read the book? Roy McMillan, as many have said, has voiced the characters in this complex book in a wonderful way. I can hear the voices as I write this and I finished the book 4 weeks ago. Roy is a brilliant narrator like Neville Jason in War and Peace. I could never have had the experience I have had just by reading. There are some 'tough' points to this book - there are some extensive 'cataloguing' pages about every knight errant that ever lived for example and if I never hear the name of 'Amadis of Gaul' again - it will be too soon! But the range of characterisations, the sense of humanity is just not to be missed. Nothing to do with 'Man of La Mancha!' or anything to do with windmills.. I would be a bit dour and I suppose too boring but I would want to say something about an essential contribution from Spain towards understanding and valuing of our common humanity. This would be a film that uplifts you in understanding your fellow human. But - actually - don't waste your time - it is too subtle and important to be a film - just listen to the book! By the next stage of the book you are questioning who the 'mad' are.. the gentlemanly classes are shown up as they try to fool with DQ who actually has many admirable human qualities and you willl learn to value Sancho ( especially as a governor) , the Curate, the Barber and the inimitable Bachelor Carasco as representatives of the disinterested kindness that humanity can be capable of in its sense of community and friendship. Long, but worth it! A wonderful classic with humorous dramatic reading without straying from the text. 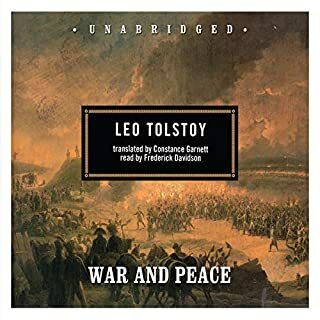 My readings of Don Quixote were patchy and, as a curious storyteller, I wanted to fill in the gaps.I couldn't have done better than choose this audiobook. Don Quixote, his head filled with idealism and fantasy from reading too many books on chivalry, is accompanied on his adventures by Sancho Panza, stolid and down to earth, a marvellous comic partnership, Roy McMillan is a jaunty,affectionate narrator who brings the characters, farce, enchantments, combats, wounds, courtships torments and foolishnesses to life. There are nevertheless repetitions and slownesses, especially in the early stages, but when the story is so well narrated that is forgiven .The seemingly endless string of episodes becomes addictive. It is like The Canterbury Tales or The Arabian Nights. The second half of the book really takes off with one rollicking encounter after another and I found it hard to press pause. Excellent narration brings this epic tale to life. I really enjoyed the flair and verve with which the book was read. When I started listening to this book I regretted getting it straight away. I found it hard to get into, but eventually I realised how good it was; and now I've listened to it a couple of times. Cervantes' limitless imagination and complete control over what he's doing. Fluent and easy to listen to, with a good choice of accents to represent the many characters. Occasional slight quibbles with the pronunciation of some Spanish proper names, but not enough to spoil the enjoyment. It's laugh out loud funny in parts, both because of occasional slapstick incidents and the very wry comments made mostly by Sancho Panza. It is also surprisingly affecting especially in the closing chapters. I have been putting off reading Don Quixote for many years. It is of course a Classic Of World Literature, so I approached it with some dread. How wrong I was. 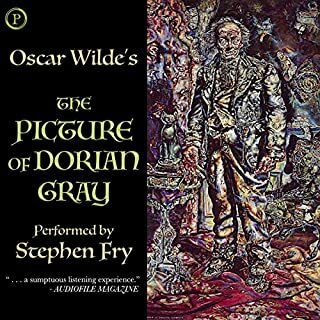 The novel is fascinating and intricate, the humour works (unlike most of Shakespeare's jokes, which really are not funny to the modern ear), and the writer knows exactly what he's doing at every turn. Even the minor characters live and breathe. The story of a man apparently out of touch with reality (or is he?) and his companion who seems to have no contact with fantasy (but will believe almost anything he's told) is absorbing and delightful. The way Cervantes plays with notions of truth and fiction, especially in the second part where many of the characters have read the first part and expect the heroes to behave in certain ways, is astonishingly original for an early 17th century novel. I look forward to reading it again with great pleasure. It's not for nothing that this classic has stood the test of time. You are transported to another world and another culture where the pace of life is slower and where storytelling is part of the fabric of life. The characters are so varied and engaging and the sense of right and wrong clearer than today. There's plenty of wit and humour and now and again great pathos too. A book unlike any other I've read or listened to. Full of surprises even if some of the well known incidents are already familiar. Witty and touching, always entertaining. The reading is superb with brilliant characterisations. The wonderful absurdity of the characters and the beautiful language used to describe the ridiculous adventures they have. 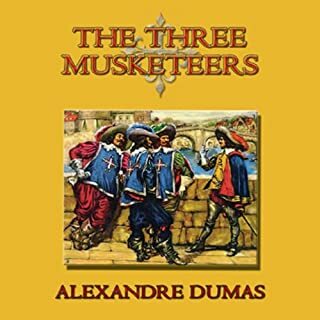 What other book might you compare Don Quixote to, and why? There's no comparison for me (so far). 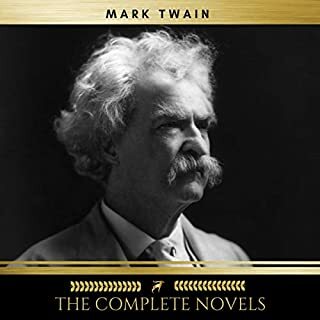 This was the gold standard of the audible books i've listened to so far. Lively, energetic and the audio quality was superb. At no point did i find anything irritating. I laughed and cried, mostly laughter though. It won't be for everyone and was certainly nothing like i imagined it would be. It was a wonderful surprise and a great friend. I'll listen to it again for sure.